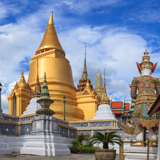 Treat yourself to a memorable time in Bangkok, the vibrant capital of Thailand. Home to over 8 million residents, it is by far the country’s largest city. Bangkok offers you stunning palaces, an exciting nightlife, an alluring culinary scene and so much more. The top attractions of the city include the Grand Palace, Wat Arun and Lumpini Park. Seize this wonderful holiday opportunity, because cheap flights to Bangkok are now available for a limited time! Bangkok is the home of Suvarnabhumi Airport (BKK), which is a 40-minute drive from the city centre. 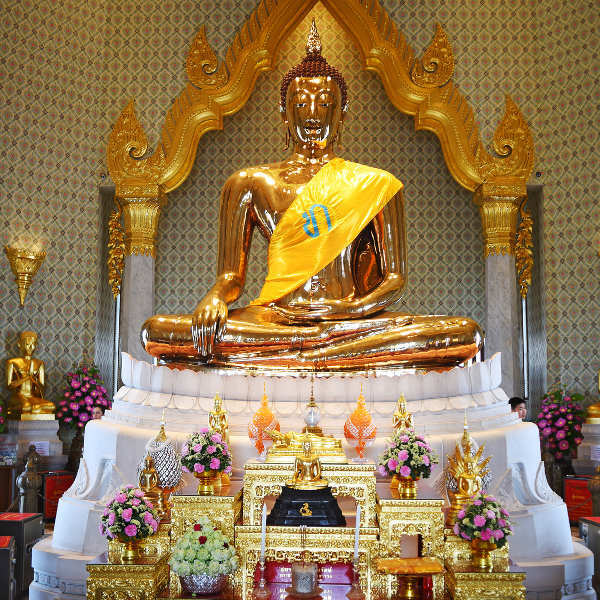 Like most Asian destinations, Bangkok is rich in history, with its magnificent palaces and vast array of temples, including Wat Traimit, home to the amazing Golden Buddha. 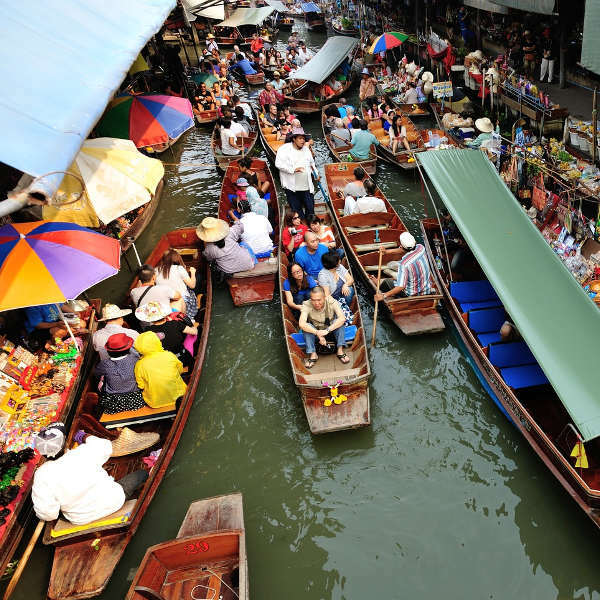 Take a boat cruise down Chao Phraya River, which takes you past many of the top sights and sounds of the city, including a vibrant river market! Discover the livelier side of Bangkok at Khao San Road, the home of a variety of accommodation offers as well as shops and street vendors that offer a range of products and exceptional dishes. If you prefer to visit Bangkok when weather conditions are at their most pleasant, make a plan to go between late October and March (the dry season). During these six months, precipitation and humidity are at their lowest. In addition, if you visit during this time, you can enjoy a variety of events, such as Loy Krathong (November) and the Chinese New Year (January). Low season is between April and mid-October (the wet season), when precipitation and humidity rise. You may have to deal with plenty of rain, but you’ll get plenty of flight and hotel specials. Furthermore, time spent in Bangkok during this season will reward you with numerous festivals, including Songkran (April) and the International Festival of Dance and Music (September). Prepare yourself for the hub of activity in Bangkok. This breath-taking destination is where the past meets the present. 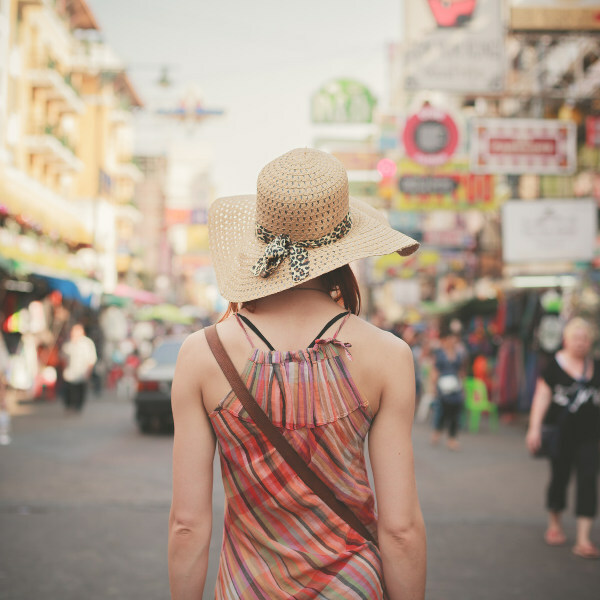 Make sure to explore Khao San Road, and discover the side of Bangkok that is a backpacker's paradise. It's the place to find plenty of affordable accommodation and a huge selection of shops and street vendors offering everything from clothes, handicrafts, paintings, local fruits, CDs, DVDs, used books, to many useful backpacker items as well as tasty dishes that are unique to this destination. For a contrasting experience, relax at one of the sophisticated restaurants and cafés that sit in contemporary urban buildings and bustling shopping malls, such as Terminal 21, Siam Paragon and Siam Discovery. Immerse yourself in the history of Bangkok with visits to the luxurious former royal residence and museum at the Grand Palace, as well as the huge collection of temples, such as Wat Arun and Wat Phra Kaew. Admire the architecture of the Jim Thompson House or discover the interesting story behind the Golden Buddha statue. 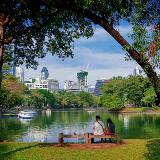 Enjoy some time outdoors at many beautiful locations, including Lumpini Park, Safari World and Chatuchak Park. 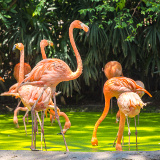 Treat the children to a memorable experience at Dusit Zoo, which is home to more than 1,600 species of domestic and international animals, such as monkeys, kangaroos, penguins, camels, tigers, elephants and more. Compare several airlines, and book your cheap flights to Bangkok online at Travelstart! Make sure you receive all the routine vaccinations before your trip to Thailand. Other diseases that you should take care to avoid include hepatitis A and typhoid (both transmitted through contaminated food and water), hepatitis B (transmitted through sexual contact, contaminated needles and blood products), and rabies (transmitted through the bites of infected mammals, such as dogs). Take care to prevent mosquito bites, as there is a risk of contracting malaria, dengue and Japanese encephalitis. While violent crime in Bangkok is rare, stay alert. Refrain from showing large amounts of money and keep your valuables out of sight. Reject any offers from random strangers advising you of discounts on accommodation, restaurants and attractions. Make sure to get information on the operating hours of the temples and museums to avoid deception. With regards to the major temples, make sure to cover up as a show of respect. At the Chatuchak Weekend Market, beware of purchasing items that come from illegal poaching, which include rare pets, ivory, talons, fur, teeth, wool and dried sea creatures. Occasionally, you might encounter elephant begging – trainers will approach you to offer bananas to feed the elephants and take a photo with them for a fee. This is an illegal practice and animal abuse (the elephants are distressed by the conditions of the city), so it’s better to reject these offers. There are many budget, mid-range and luxury hotels in Bangkok that provide good access to sightseeing, shopping and dining opportunities. A large selection of high-end establishments is available in the historic area of Riverside. For the budget conscious, there are accommodation offers around Khao San Road, which is home to numerous street food vendors, fast food outlets and shops, and close to the Grand Palace and the temples of Wat Phra and Wat Pho. For your mid-range hotels, look for accommodation in the modern area of Sukhumvit, where you can find a variety of shops and quick access to other parts of Bangkok, courtesy of the Skytrain. The cost of staying at the top-end and mid-range establishments ranges from R 500 to over R 3,000. The budget-friendly options are available for around R 200 – R 450 per night. The best way to explore Bangkok, by far, is using the Skytrain and the MRT service. Travelling along these lines will help you avoid the traffic which commonly plagues the city’s streets. You will need 5 or 10 baht coins to purchase Skytrain tickets at the vending machines. The fares range between 15 to 52 baht. A tourist pass costs 140 baht per day, which can help save you time and the need to organise your money. Tickets for the MRT start at 16 baht. Prepaid cards are available, and can cost up to 1,000 baht. Another efficient way to get around Bangkok is by boat, with express services available at a cost that ranges from 9 baht to 1,000 baht per hour (if a taxi offers a ride for this much, it is suitable for small groups with some haggling). Once you get off from a river taxi or from one of the rail services, hire a metred taxi to get you the rest of the way to your desired destination. Tuk-tuks are another option to cover short distances, but be prepared to haggle the prices with the driver, or he will charge you an unreasonable amount at the end of your journey. Never accept an offer of transport, as this usually leads to a scam.